The Thai government and Bangkok’s Metropolitan Authority have been busy combating the ongoing smog problem impacting the city in the last few weeks. This has included actions in the air, on the roads and regular information updates for the public living in the area affected. The smog is impacting the Greater Bangkok area encompassing the city itself and some adjacent provinces. This week, schools were closed after a 2 day holiday was declared by Bangkok’s Governor and a control area announced within which certain activities will face bans and enforcement. 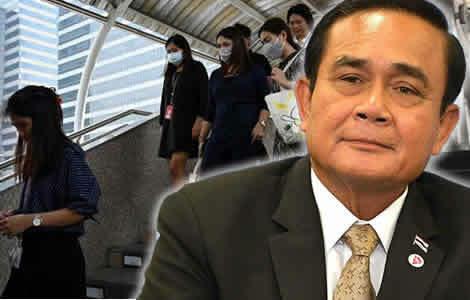 It has emerged that the Thai Prime Minster, Prayut Chan ocha, is reluctant to impose measures, at this point, which would cause hardship to the public in the city. He has urged officials to do everything possible in each district or area of the city to offset the debilitating effects of the smog for the people living in those areas. As Bangkok and surrounding provinces grapple with the smog or threat of fine dust particles in the atmosphere, the Prime Minister Prayut Chan ocha, appears to have ruled out for now limiting the use of private cars on an odd and even registration basis. This follows weeks of intense efforts to combat a growing problem of smog that had descended over Thailand’s capital. This week saw officials order the closure of 437 public schools in the metropolis which operate under the aegis of Bangkok’s City authorities. 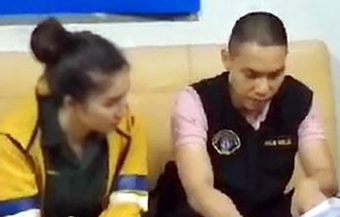 It was subsequently reported that that all schools, including private and other government academies, were to be closed at the end of the week under orders for Thailand’s Ministry of Education. There were also reports that education ministry officials were reaching out to universities. Thailand’s Prime Minister has ruled out, at this time, introducing an odd, even car restriction system similar to that used in Beijing some years ago. 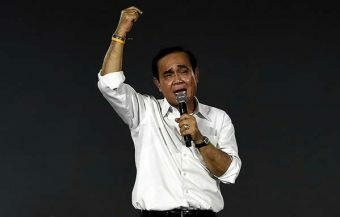 He told reporters that it may be unacceptable to the Thai public for now. The Governor of Bangkok has, meanwhile, declared a pollution control zone which will see bans and enforcement for certain activities designed to help improve the situation. Schools were closed for 2 days last week after special holiday days were sanctioned by the governor and following directives from the Thai Ministry of Health. The Bangkok City authorities and the Thai government have been working assiduously to deal with the problem with initiatives and daily updates on pollution levels in the air. The PM has urged local officials in each area to take the initiative in the fight against the effects of the smog which has been negatively impacting air quality. The initial order for the closure of the schools came from Aswin Kwanmuang, the Governor of Bangkok, on Wednesday. The city boss used his powers to specify Thursday and Friday 31st of January and 1st February, respectively, as holidays. The move was made in order to protect young students from the heightened level of dust particles that have been recorded in the city’s air over the course of the week. It is also believed that the move would help car congestion in the city by reducing car trips to school over the two days. The Governor also used his powers to designate Bangkok as a special pollution control area under legal provisions designed for such predicaments. Measurements of air in the city have shown consistently high levels of what is known as fine dust or particulate matter of less than 2.5 micrometers. This kind of dust can be ingested into the body’s lungs and pulmonary system leading to health complications after long periods of exposure. The potentially dangerous situation has seen large numbers of people, throughout Bangkok, in recent days, wear face masks although some people have chosen not to wear them. Most people were careful, however, about how long they spent outside. It has seen popular walkways and exercise areas less populated as residents stay indoors. It has also created some confusion as many residents do not fully understand the danger posed. Authorities have to run a delicate gauntlet between advising the public to be careful but also not to over react. 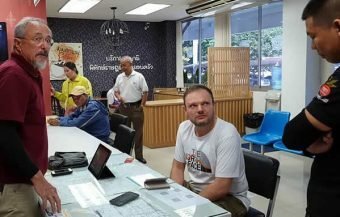 There are reports from some 24 hours call out food delivery services across Bangkok of a huge surge in business in recent weeks while contradictory reports suggest that retail food outlets are as busy as ever. The acknowledgment of the heightened danger, posed by the dust, in this week’s move comes after weeks of government initiatives designed both the allay the public’s concern and genuine efforts to combat the menace. It has even seen Thailand’s air force and government services take to the sky to make rain over Bangkok and conduct an operation in recent days using drones spraying water and a compound designed to condense the particles into larger solids that would fall to the ground. The Thai government and city authorities have been very active trying to combat the threat in other ways also. These include spraying water into the air and actions by the Royal Thai Police to stop and confiscated vehicles with heavy exhaust outputs. It was reported last week that the Prime Minister Prayut Chan ocha may have been mulling an odd day, even day car regime similar to that deployed by Beijing to combat smog in recent years. The goal of such an order would be to reduce car congestion in the city which is home to millions of private cars. However, this week the PM suggested that such a move might, at this stage, be too intrusive into the personal lives of Thai people already laboring under smog conditions. The introduction of the pollution control area by the Bangkok governor has been reported as a nuisance control area and refers specifically to provisions which will now come into force such as a ban on the burning of grass, rubbish and agricultural stubble. 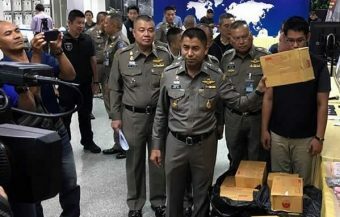 The ban takes effect as soon as details are published at local district offices of the metropolitan authority in Bangkok. It can see fines of ฿25,000 imposed on those who breach the ban and a prison term of up to 3 months. This is now being widely reported in the Thai media. 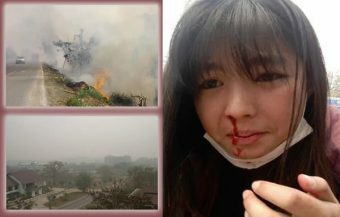 City and local authorities have been giving residents of the metropolis and surrounding urban centers in neighboring provinces, constant updates on pollution measurements in an attempt to harness public support, goodwill and confidence in what is becoming a growing and troubling predicament. The extension of the smog into other nearby provinces is also a worrying feature of the current situation. Towards the end of the week, the highest levels of smog were recorded in Samut Sakhon, an adjacent province and the Bang Hunthian area of Bangkok itself. 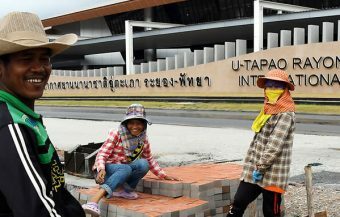 Authorities in Bangkok will now be monitoring the effects of the bans imposed this week on the pollution control area. The focus will be on curbing emissions from diesel vehicles, large industry and also rising dust generated by debris and activities on Bangkok’s numerous building sites. There has been a suggestion, by some scientific experts, that part of the haze, that has been hovering over Bangkok for weeks now may, in fact, be originating in Thailand’s poorer and less developed, neighboring country of Cambodia. It has been known for quite a long time that similar hazes affect northern Thailand where regions suffer from smog which emanates from Myanmar. This has been attributed to agricultural practices in that country involving the cutting of residual agricultural products and burning. This suggestion has been brushed aside this week by Thailand’s Pollution Control Department which pointed that there is no direct evidence to support that theory. 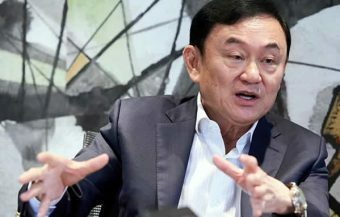 Bangkok’s Governor, Aswin Kwanmuang, who this week was the man at the center of the crisis, did not hold out hopes that drone operations and similar initiatives could radically solve the problem. He did say however that such acts, at least, were helpful while some observers have pointed out that any government action, which helps spur confidence in the public, is quite important at this time. The governor reached out to experts who had suggestions or proposals on how to deal with the problem. ‘Those who are knowledgeable on this issue, don’t give opinions to others, tell me. I am the one who is working on the issue, please give me advice,’ the governor was reported as saying by AP (Associated Press). ‘Do I know everything? No, I don’t. Because I do not know everything, that’s why I will hold a meeting. Please join us in brainstorming.’ The press coverage of the issue has now extended it to an international media story as pictures of Bangkok under smog are being regularly featured on international news outlets worldwide. The ongoing smog problem has inevitably drawn commentary from international environmental organisations. 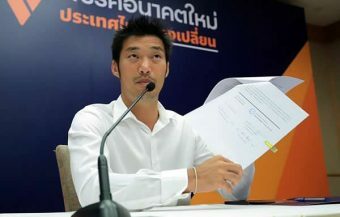 Thailand’s Director of Greenpeace, Tara Buakumsri, said that the problem was a long term one and called for action against air pollution starting with verification of the source of such pollution and a long term plan to reduce emissions into the atmosphere. Meanwhile, the government is also taking action against media outlets that may provoke public alarm. Public confidence at this point is critically important and, as in other emergencies, fear can create its own dynamic and quickly become the most significant problem. 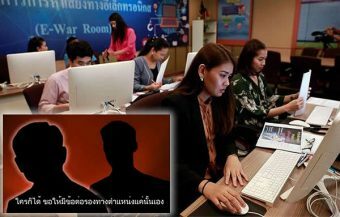 Last Sunday, it is reported that Royal Thai Police arrested the owner of a news website that published a false report that a Thai woman had died from ingesting fine dust or fine particulate matter of less that 2.5 micrometers. The fine dust is often referred in The news reports as PM 2.5. 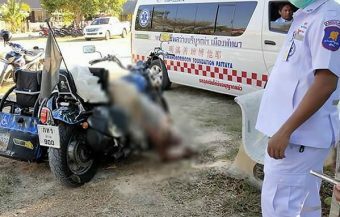 The false article claimed that the woman had died after the fine dust has been deeply inhaled. 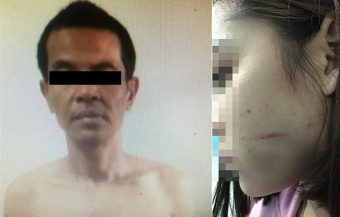 It is understood that Thai authorities have charged the man under Thailand’s draconian Computer Crime Act for publishing information which may cause panic and alarm among the populace at this critical time. 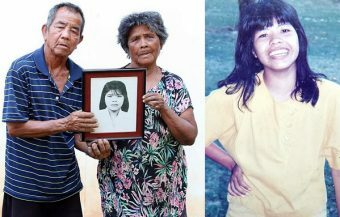 The article is reported to have shown a Thai woman with striking physical effects which it attributed directly to the fine dust in the air including skin that had swelled out. 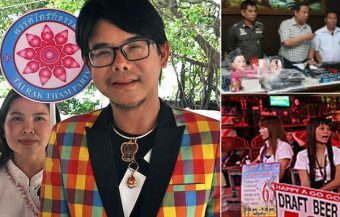 The man was named as Watanapong Pitawatanathitikul, a 37 year old publisher of a website sharing news. 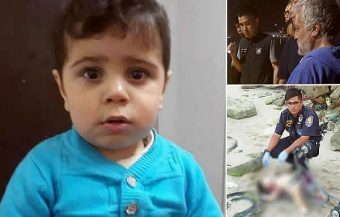 He was arrested at his home in Bangkok and this was confirmed by police authorities on Thursday morning. 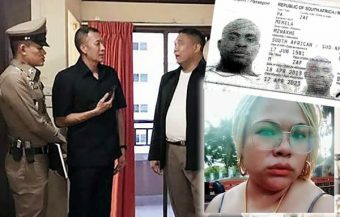 The announcement was made by Lieutenant General Surachate Hapkarn, Thailand’s Immigration Police Chief, who said that the story relating to the Thai woman was untrue. 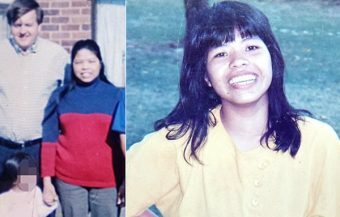 She had died from an unrelated condition. 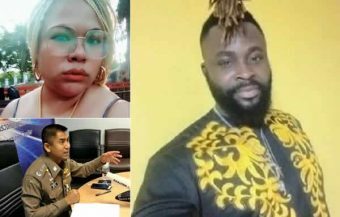 Police Colonel Siriwat Deepor, a spokesman for the Technology Crime Suppression Division of the Royal Thai Police, later told reporters that the man had admitted uploading the story in order to boost readership and consequently, advertisement revenue. The man may could face up to five years in prison if convicted under the act. There are also reports that two other websites who copied the article may also face prosecution. Thai authorities have also made moves to block the sites in question. Meanwhile, the Prime Minister underlined that the government was doing all in its power to deal with the problem. This encompassed making up to date information available and also the distribution of protective masks to all parts of the metropolis and surrounding areas. The government has asked all districts within the Bangkok Metropolitan area to make daily reports concerning dangerous dust particles in the atmosphere. Authorities were encouraging officials at local level to take action. The Prime Minister warned that sanctions would be taken against government officials who failed to act responsibly and appropriately to deal with the problem in their individual areas. 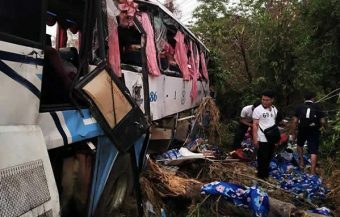 A similar plea and message was sent to governors and officers in neighboring provinces to Bangkok.